The one wing you've been hoping and waiting for, for years is now here! Light, fast and perfectly balanced, the RX is the latest evolution of the Litespeed line, complementing the range of Moyes' high performance gliders. Our designer, and championship pilot, Gerolf Heinrichs has focussed his considerable expertise on the refinement and fine-tuning of our light weight gliders to produce these latest additions to the celebrated Moyes Litespeed range. The RX series shows around a 9% flatter sail cut, (especially near the root section) resulting in a much improved high speed glide - and a higher top end speed. These new models have also undergone a gentle reshaping of the trailing edge plan form, which achieves a more balanced feel in thermals with less high-siding, for effortless thermaling. As an additional safety feature, the RX models sport a new, improved cloth rib section across the wing span, providing a better controlled under-surface for improved pitch stability. This latest evolution of the Moyes Litespeed line with its higher aspect ratio features additional refinements to the sail design to maximise handling characteristics when launching, landing, thermaling and improving speed. The RX is available in four DHV certified sizes - RX3 for pilot weights between 50 to 65kg, RX3.5 for pilots 65 to 80kg, RX4 for pilots 80-95kg and the RX5 for pilots 95-110kg. The RX3.5, with its slightly larger span, yet smaller surface area, combines all the attributes of its predecessors, the LS3.5 and LS4 – and so much more. What you have to experience is the amazing feeling you get from the RX - a feeling of completeness, like the pitch is perfect, the roll is light, the sail is clean, the speed is fast. The overall feeling is the glider is beautifully well rounded. "With the release of the all new RX 3.5 65-75 kg pilots will have performance they have only dreamed of. I am really excited to be taking the new RX 3.5 to Brazil for its first competition. The RX 3.5 gives me the feeling I'm flying a small glider but it climbs and glides like a big glider so those mid range pilots now have everything they need in one package. 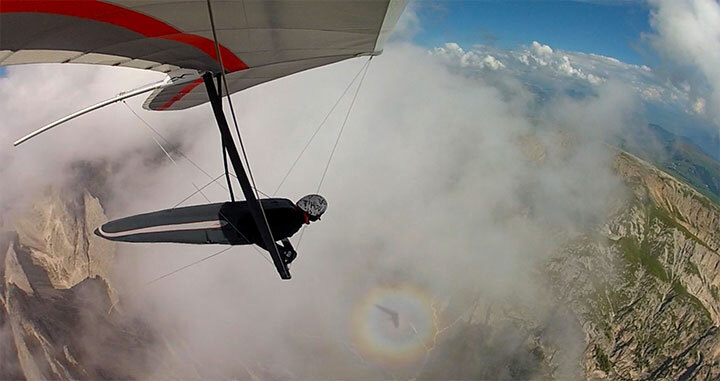 The handling and performance on the RX series is something we have all been waiting for in Hang gliding, so hurry up get your orders in before the masses…"
The RX3 is the first advanced competition glider ever to allow light pilots to finally compete effectively with their heavier counterparts. We've had incredible feedback from the Moyes test pilots on this diminutive new arrival and we're feeling more than a little proud to be able to bring you our very first high-performance race glider for light pilots. Now, we're looking forward to seeing the light guys grab some of those competition wins! ...faster and more dynamic, more like a racing machine. And that I like a lot." "I feel the air - it is like my fingers turn into feathers, and I can fine tune the wing into the strongest climb, quickly moving it around corners." "The light pilots will now be able to keep up so watch out big boys your advantages are now gone." "I'm thinking I need to get home and work a little....just enough to pay for one of these new babies for myself." "I don't want any other glider, this is it for me!" Undersurface has three panels of Dacron, and can be custom coloured to your requirements. ** New: The new PX 05 for the mainsail has an internal taffeta and extra fine film of mylar on the inside of the cloth making it the perfect weight for a mainsail with excellent handling and durability.